Massapequa, New York, USA. August 5, 2018. 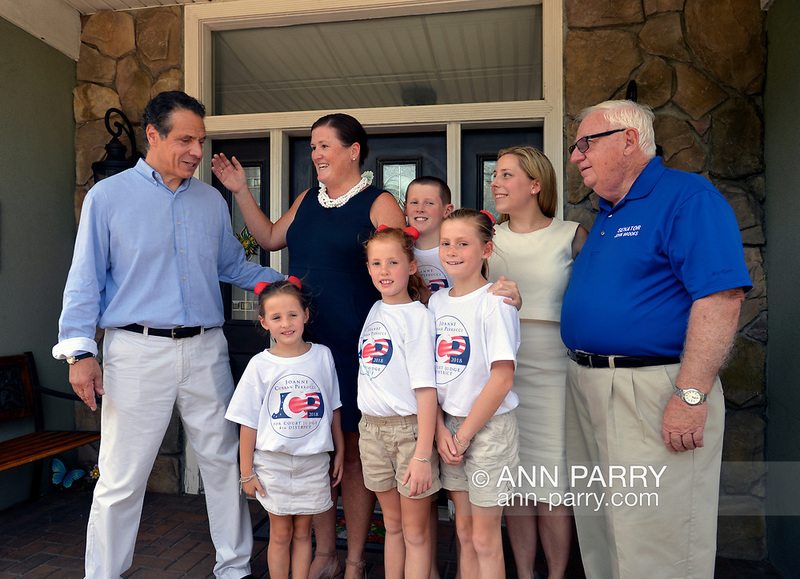 L-R, Governor ANDREW CUOMO; JOANNE CURRAN PERRUCCI, candidate for Court Judge 4th District; Perrucci's four young children, three daughters and a son; LIUBA GRECHEN SHIRLEY, Congressional candidate for NY 2nd District; and NY Senator JOHN BROOKS (D-Seaford), gather as Cuomo's about to leave after joint campaign office opening for Grechen Shirley and Sen. Brooks, aiming for a Democratic Blue Wave in November midterm elections.